Readers who follow me on Instagram probably have recently seen some images shot during a weeklong ski trip to Austria. Although it was mainly a family holiday, I used the opportunity to shoot some test images with the Fujifilm X-T30. A separate blogpost about my recent experience with this brand-new camera will be online within the next few days. 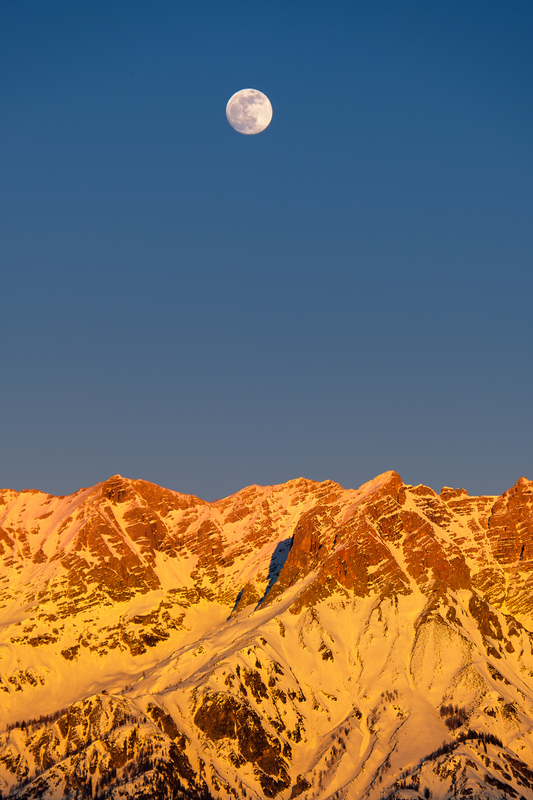 One of the images, that stood out, was the one below from a supermoon rise over the Austrian Alps. I had just got back from a full day of intensive skiing when I looked outside my hotel bedroom and saw a beautiful moon rise over the surrounding mountains. The warm glow of the sunlight reflecting on the snow covered mountains, made it for an iconic image. More of the images shot during the ski trip to Leogang, Austria, can be found here. Remember: "Shoot for the moon. Even if you miss it, you will land amongst the stars". Last week, FEB 14, Fujifilm announced a new camera which I have been testing for over a week now. Due to work and family commitments, I wasn't able to release a full review by the release date. Meanwhile, I'm writing this on a ski holiday in Austria; yes, with the new camera! So, while the review is definitively in the making and will likely come out end of February (or early March), I would like to share an image shot with the new camera as my Pic(k) of the week! As the camera has the same new sensor as the Fujifilm X-T3 (review here), there are no surprises with regards to the image quality. 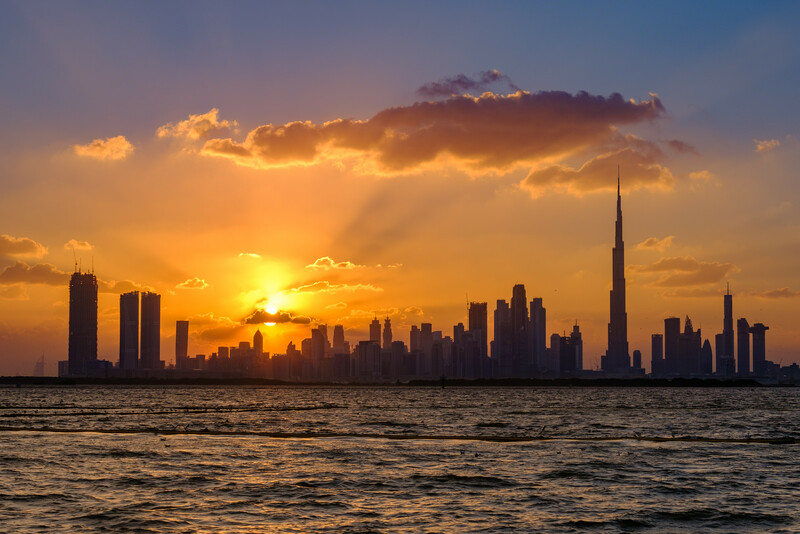 The image below was shot at "Dubai Creek Harbour", my favorite location to shoot Dubai skyline images. I was lucky to be there during a nice cloudy winter evening, making for some great sunset light. I especially like how the sun-rays were reflecting into the middle of the image. The image was shot as single frame as I wanted to show the beautiful light as I witnessed it without fancy image blending techniques. During the Gulf Photo Plus (GPP) week in Dubai on FEB 08, Fujifilm held their first X Summit (full video here). The first edition of a new type of event where a number of Fujifilm managers on stage were explaining some of the new developments and asked the audience for advice on lenses and possible firmware functionalities. I attended as an X-Photographer for the brand and at the very end (1h47') of the video, can be heard asking a few questions about the Fujifilm Remote App and Geotagging. Meanwhile, we have learned that a brand-new Remote app will be coming out by the end of March which is great news. Let's see if it will allow to be used in landscape mode and if transfer of video files will be possible? 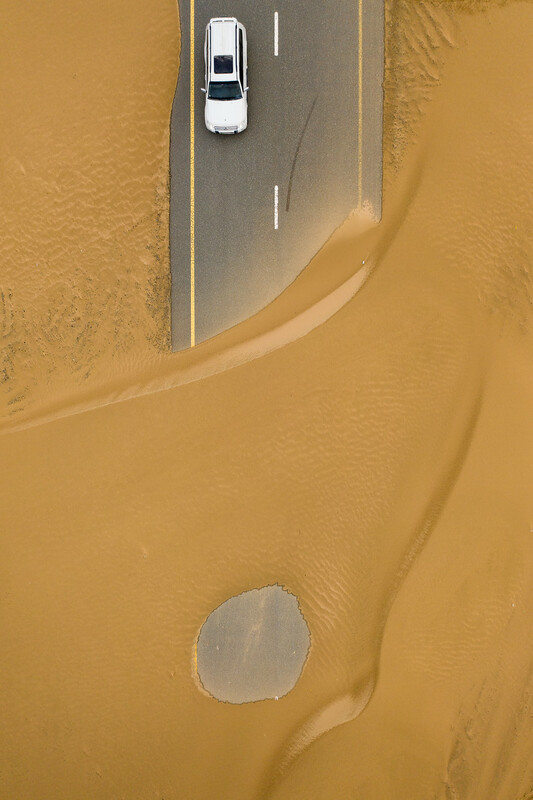 Most people don't realize that Dubai is much more than huge shopping centers, the worlds tallest buildings, expensive cars and extravagant life styles. To me the old part of town, is much more interesting than some of the more modern developments. One of my favourite areas of the old town is along Dubai Creek, more at my "Life at the Creek" gallery. It is not uncommon that in cities that see a lot of expansion, older parts of town eventually have to make place for newer city projects. This is the case at Satwa, where a part of the South Asian community living there will have to be relocated. 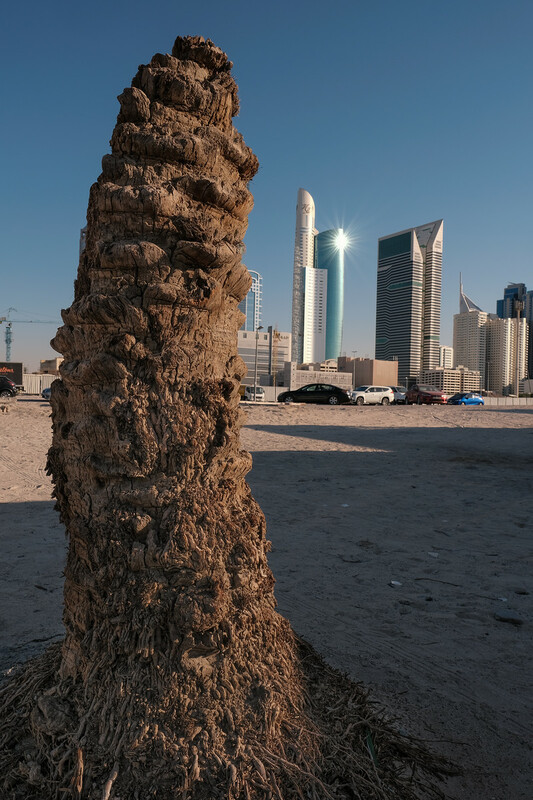 This was the inspiration for a project called, "The other Dubai", where I document the contrast between old and new, rich and poor.